Not able to find your ideal premises. Why not design your own! Subject to planning bespoke premises can be constructed from high quality offices through to large scale warehouse and distribution and manufacturing premises. 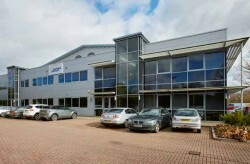 Current occupiers on the site include; Norma Products, English Provender Company, Computer Salvage Specialists, Driving Standard Agency, QTR and Texas Instruments Ltd.